The coastline around the Loe Pool has received more than its full share of ship wrecks, some of them outstanding disasters. On the Eastern end of the Bar Sands there is a memorial cross erected as a perpetual reminder of these tragedies. Without doubt the greatest of these was the wreck and complete destruction of the Royal Navy 44 gun frigate HMS ANSON which foundered on the Bar Sands on 29th December 1807, two years after the battle of Trafalgar, with the loss of about 100 lives. 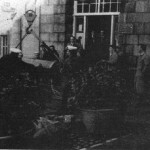 On Christmas Eve she she was towed out of Falmouth where she had been re-provisioned and staightaway encountered poor weather which became worse. After passing the Lizard she received the full force of a rising gale which eventually drove her onto the Bar. 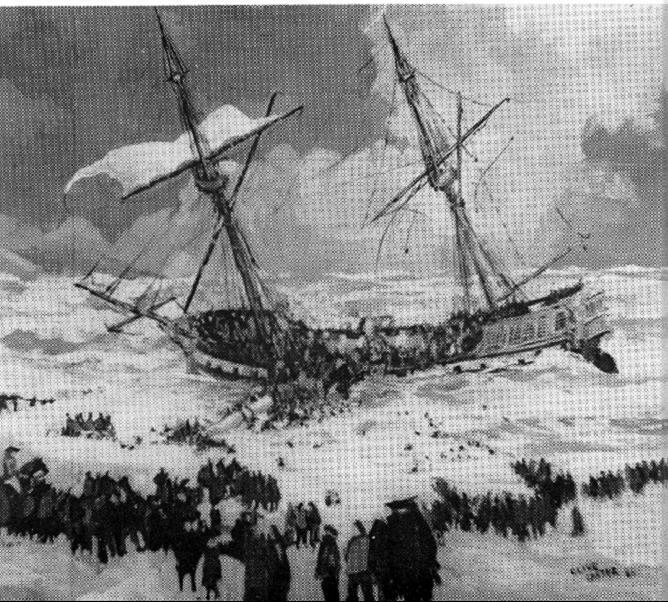 Some of the crew were saved, but for many it ws a case of `so near, yet so far` One of the witnesses to the tragedy was a Helston man called HENRY TRENGROUSE and so the story says, it was seeing the vain effort of many of the crew to get ashore that he devoted much of his time and most of his personal finance to perfecting a `Rocket Lifesaving Apparatus` idea which in the years to come was the means of saving many thousands of lives throughout the world. Out of misfortune often comes good. It was the custom in those years to dispose of a body cast up by the sea to bury the remains in a convenient pit on the cliff top. The name `Gravesend` in Porthleven is self evident of the custom and even at present times proof has exposed itself when occasionally portions of bones have been discovered. The disposal of `unfortunates` suffering these fates so angered the public that as a result in the following year Parliament passed an act ensuring that in future bodies cast up by the sea should be buried in churchyards and parochial cemeteries. In 1964 Divers from the Naval Air Command Sub-aqua Club salvaged two iron cannon. 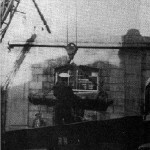 RNAS Culdrose provided the necessary manpower and equipment to lift it into position. 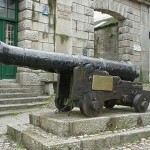 On exhibition at the entrance of Helston Folk Museum, this specimen is reputed to be 3.5 tons in weight and when recovered it was said, had a charge laid in the barrel. 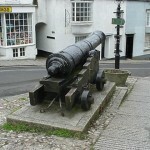 Exhibited today outside Helston Museum is one of the cannon recovered from the wreck of the Anson.